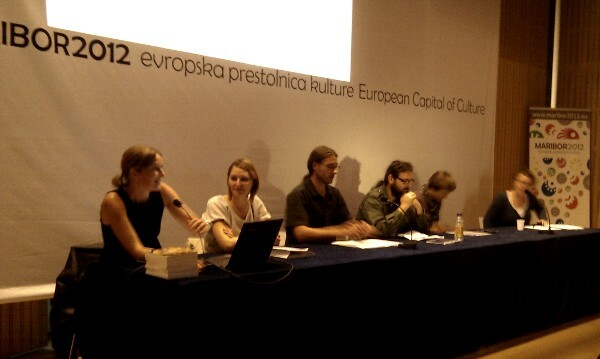 The conference of Urban Furrows took place over two days (5/10/11 & 6/10/11) when we had the chance to listen to representatives of the other groups who told us about their discussions. Each group had been working on one of the projects with the people they had invited from other organisations and countries. The discussions and generous exchanges that took place within each group and during the conference left everyone feeling thankful. The feeling was we were getting out of it more than we actually put. As an example of an ecology of sharing it definitely proved useful.